Situated in Prymorskyy, Ellingi Primorets features a private beach area and barbecue facilities. Among the facilities of this property are a restaurant, room service and a tour desk, along with free Wi-Fi. Featuring an outdoor swimming pool and barbecue facilities, Guest House Odissey is set in Prymorskyy. Boasting a 24-hour front desk, this property also provides guests with a children's playground. Featuring free Wi-Fi, Primorets offers accommodation in Prymorskyy. Free private parking is available on site. Each air-condiitoned apartment has a sea view and includes a flat-screen TV and a kitchen with a stove, oven, fridge and microwave. Set in Prymorskyy, Apartment Primorets offers accommodation with a terrace and kitchen. Complimentary Wi-Fi is available. Each unit is fully fitted with a washing machine, a flat-screen TV, a sofa bed and wardrobe. 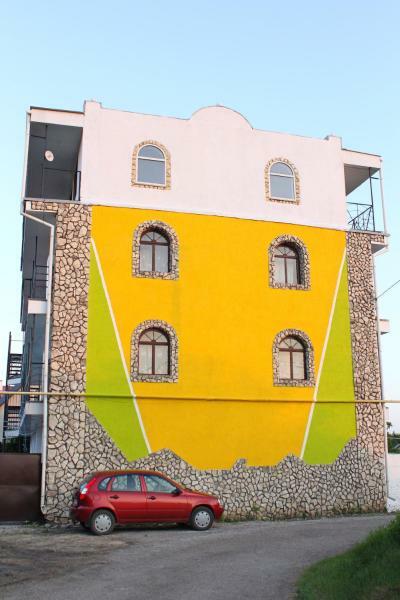 Located 10 metres from the Black Sea beach, this hotel in Primorskiy village features free Wi-Fi and table tennis. It offers air-conditioned rooms with a kettle. 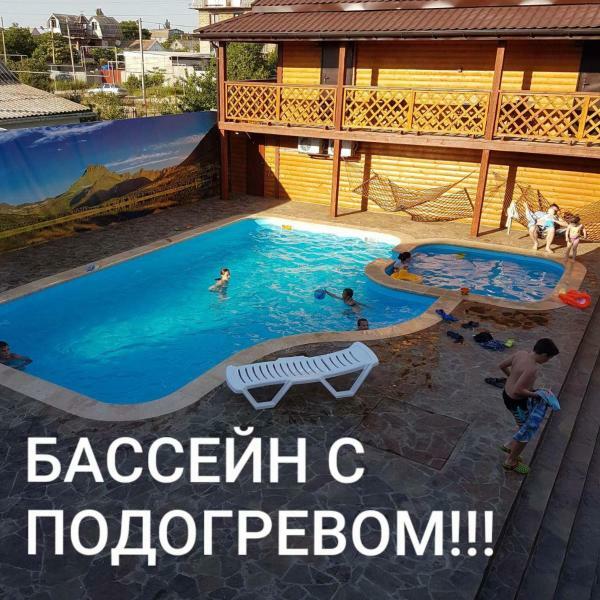 Located in the seaside town of Primorsky, this scenic hotel offers free Wi-Fi, regional cuisine and a traditional sauna. The Black Sea Coast is a few minutes away by foot. Most rooms at the Prichal-Primorskiy Hotel offer a private bathroom. Located in Prymorskyy, Guest house Domik u morya has a garden. Boasting a shared kitchen, this property also provides guests with a children's playground. Guests can make use of a terrace. At the guest house, each room has a wardrobe. Guest House Viktoria offers air-conditioned accommodation in Prymorskyy. Free Wi-Fi is available and on-site parking is provided. All units in the guest house are fitted with a TV with satellite channels. The rooms have a wardrobe. 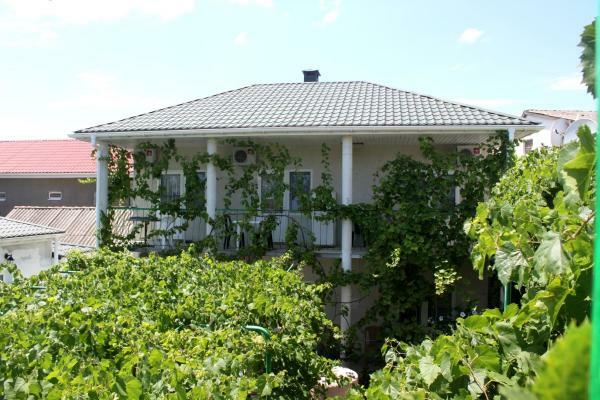 Situated in Prymorskyy, 5 km from Berehove, Hotel Tranzit features free Wi-Fi access and free private parking. Guests can enjoy the on-site restaurant. Each room is equipped with a TV with satellite channels. Set in Prymorskyy, Holiday Home Parus provides accommodation with a kitchenette. Providing a terrace, each unit is air conditioned and offers a dining area and a seating area with a satellite flat-screen TV. 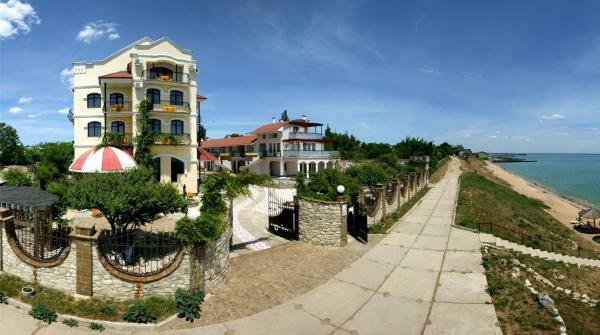 Situated in Prymorskyy in the Big Feodosiya region, Apartment On Gagarina 10 features a balcony and sea views. Guests staying at this apartment have access to a fully equipped kitchen. Located in Prymorskyy, Apartment On Zh. Dorozhnaya 7 provides air-conditioned accommodation with a terrace and free Wi-Fi. Guests staying at this apartment have access to a fully equipped kitchenette. Apartments Yugnaya is set in Prymorskyy and offers barbecue facilities. Guests staying at this apartment have access to a fully equipped kitchen. This apartment will provide guests with 1 bedroom, a flat-screen TV and air conditioning.